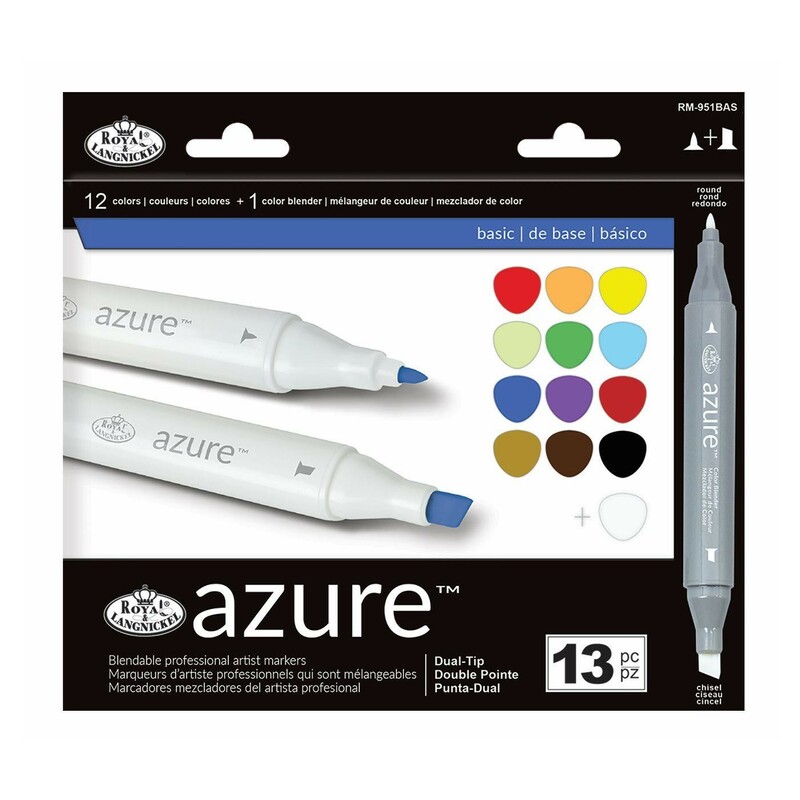 Each Azure Marker Set was thoughtfully curated to consist of colours that beautifully coordinate and includes a colourless blender. The dual-tipped, colourless blender has many uses, including shading, colouring transparent objects, or adding texture. Sets will contain 12 Double-Tipped Markers and 1 Double-Tipped Colour Blender. 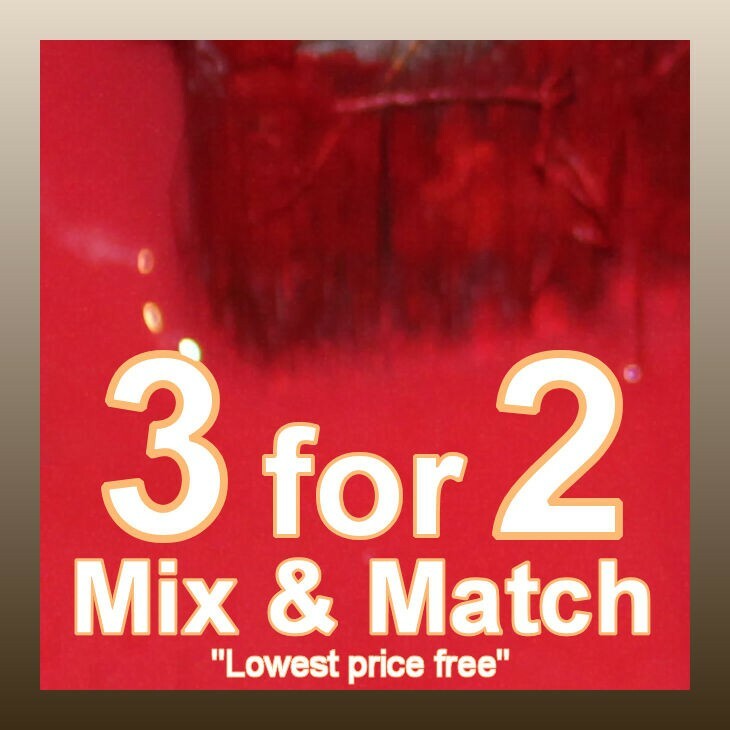 Created with the artist in mind, these alcohol-based inks are acid free, work well not to break down paper fibres, are permanent and are free from harmful chemicals and overwhelming odours. 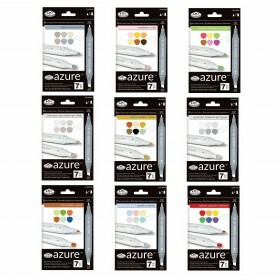 They come in a range of colours, with the marker caps having easy to understand colour codes. Every set contains a colourless blending tool. 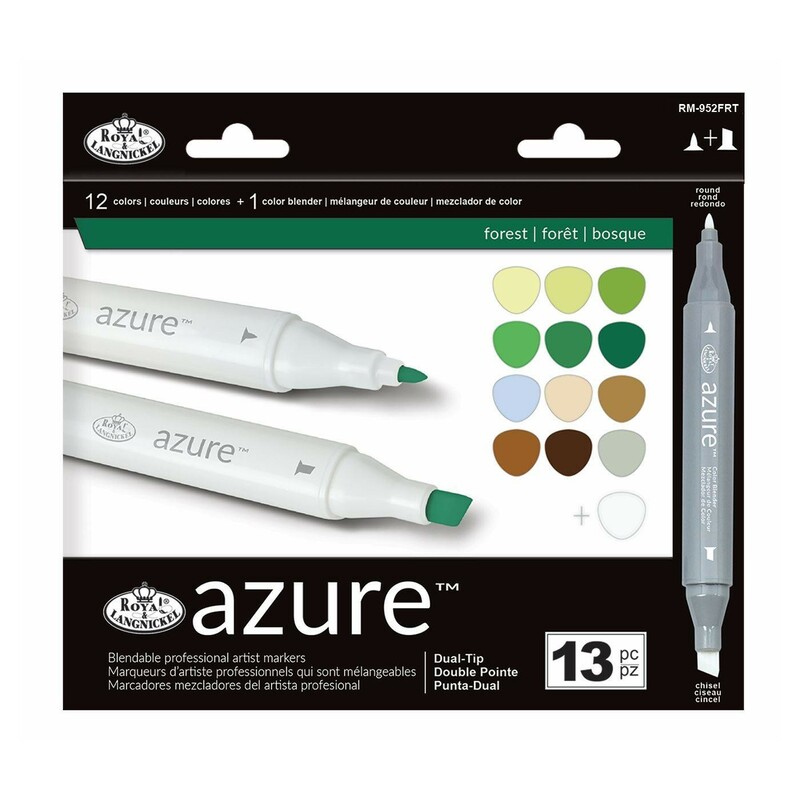 Not only is this useful for blending, but it also moistens the marker dye so it can be manipulated, helping to push colour through the paper. The double-ended design produces four line widths. The fine tip is perfect for sketching, detail work and makes blending easy. Feeling like a traditional brush that holds lots of pigment, it is lasting and very flexible, giving freedom to spread the ink smoothly, similar to watercolour. The broad nib produces 3 line widths and can lay down a vast amount of colour. The triangular barrel is designed for comfort and enables a variety of grips and stroke styles. This also ensures that it won't roll away! 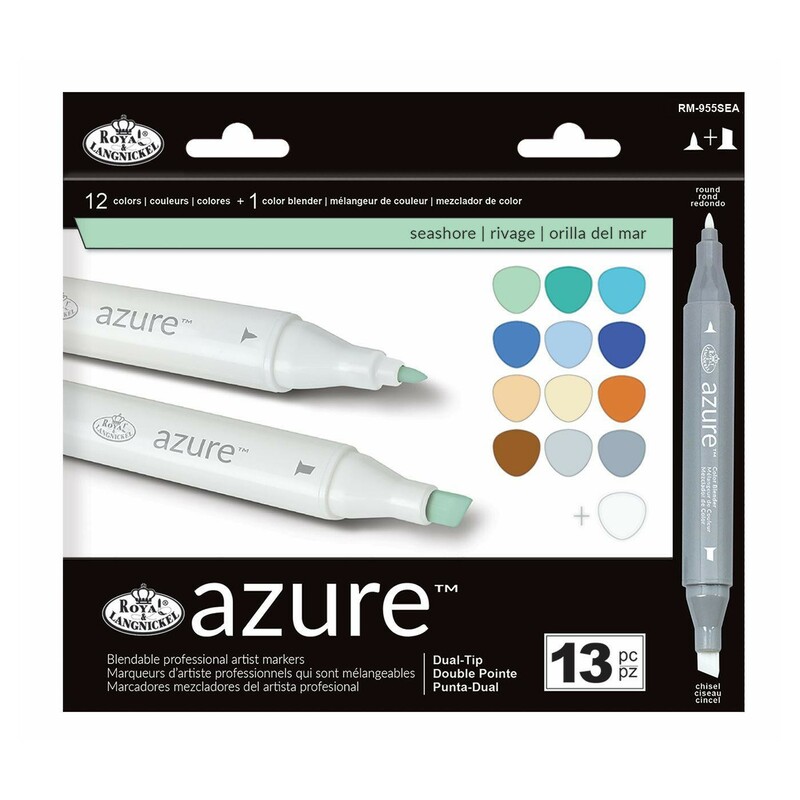 Azure markers are perfect for comics, design work, illustration, manga, landscape architecture, calligraphy, mixed media crafts and more. 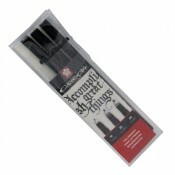 The triangular barrel is designed for comfort and enables a variety of grips and stroke styles. Also it won't roll away.